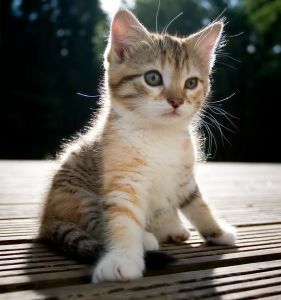 According to many breeders, the best time when to take the kitten from Mama cat, is the age of 2-3 months. The grown up cat by this time is already no longer eat mother's milk and will switch to a normal diet. 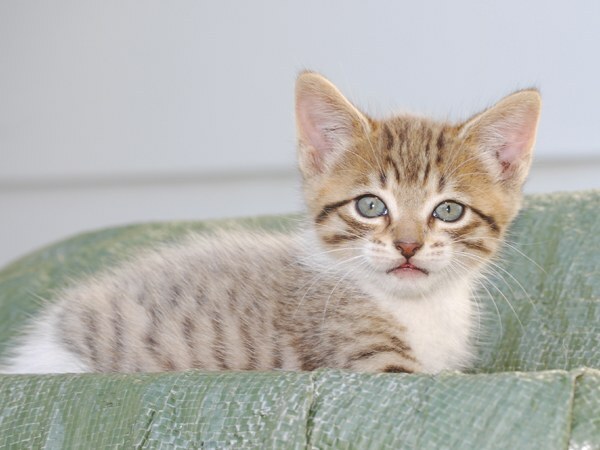 In practice, however, their new home, the kittens often fall at the age of one and a half months and even younger. 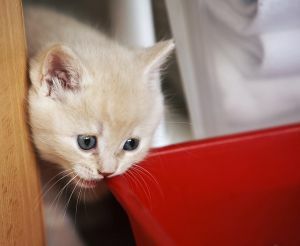 Therefore, before owners have the problem of how to organize the feeding a little kitten. You first need to determine the diet. Cats can be fed either food or purchase food. There is also the option of a mixed ration, when the animal is given as the main dry food, and as bait — natural products. However, mixed feeding is less preferred as it is believed that such a diet is unbalanced and leads to an overabundance of certain vitamins and minerals and lacking in others. In addition, for the digestion of industrial foods and digestion of natural food (especially raw) in cats produced by different enzymes. Therefore, a mixed type of diet can lead to digestive disorders. 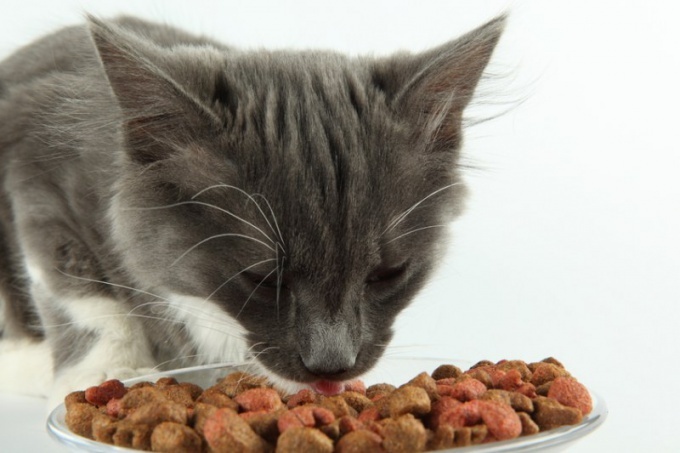 Industrial feed for little kittens have a balanced composition, so that the animal receives all the essential for the growth and development of the substance. Importantly, the finished feed allows the animal to save time, you don't need to spend on cooking. Feed the kitten wet (canned) food and dry food. Best to start with wet food. First time to offer a stranger food six weeks of the kitten on his finger. For this scoop with your finger a little canned food and allow the kitten to lick. Soon the kitten should start eating wet food from a bowl. If not, try to dilute the canned food with a little water, to make it more liquid. 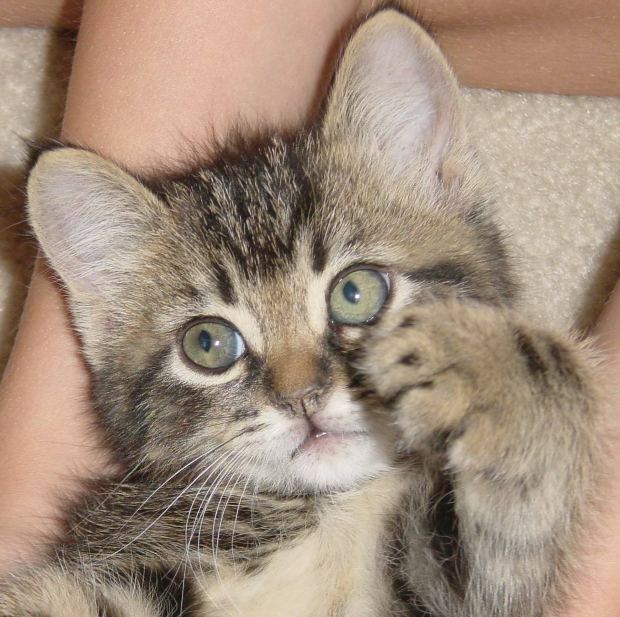 To dry food as a little kitten should begin to accustom gradually. First time dry croquettes need to soak and the mixture to give the animal on your finger, gently smear him across the sky. Gradually add the dry food all less water, while the cat will begin to bite. It is very important to feed kittens to choose feed only high quality premium and super premium class. Advertised cheap food for cats is made from low-quality raw materials, so they are not the best way affect the health of the pet. For a small kitten most dear and familiar food are dairy products. Pet can give boiled cow or goat milk, cream. If the kitten does not tolerate whole milk, it should replace with fermented milk products — yogurt, kefir or nonfat sour cream. Very useful product for a growing body is cottage cheese which can be mixed with milk and chicken yolk. Meat should enter into the diet gradually and only in cooked form. Start with finely chopped boiled beef. Then you can diversify the diet of boiled chicken, Turkey and rabbit. As a source of meat well suited to children's canned meat, but only those in which no salt. Fish (preferably marine and low-fat varieties) can be given once a week, but also just boiled and in small portions. 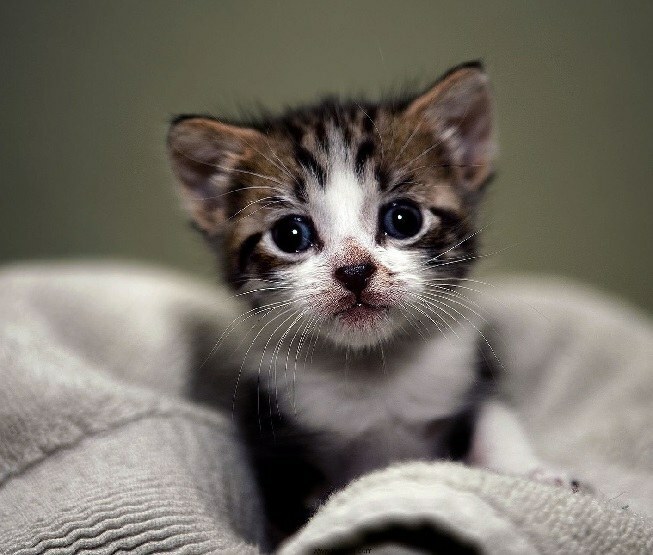 For the full development of small kittens also need plant foods: vegetables and cereals. But beans should be avoided as they are difficult to digest. Of cereals it's best to cook porridge, to which you can add pureed vegetables and meat. Young kittens aged 1.5 to 4 months should be fed 5-6 times a day slightly warmed food. The intervals between feedings 3-4 hours. It is impossible to overfeed an animal, but also the hungry kitty, too, should not be. Access to fresh water must be constant.